The big main compartment is closed with a draw string, top cover with a bonus pocket with zippers closed fromt back, twolong side pocket with covered zipper for water proof. Backside geatured with two thick formed shoulder strap, Soft netting with thick form protect your back and easy ventilation. One neet strap to fastern the shoulder strap. Anther vide strap with a large clip link the two wings. 24 x 18 x 8. Comes in 4 colors - ACU, Black, Tan and OD. 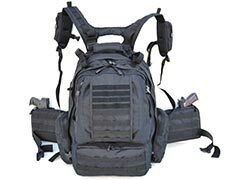 The main compartment has a big mesh pocket, a zipper pocket, and a organizer in the front pockets, A large compartment at the back, Adjustable, detachable shoulder strap, two handle, top security webbing, molle strap in front on the two big pockets. Upgraded! Full Velcro covers the front of top pocket. Extended front longer webbing. Reinforced shoulder strap stress point. 8 elastic loop fastener. Thick padded handle & single shoulder strap carry. 17 x 9 x 11. Comes in 6 colors - Black, OD, Tan, ACU, Red and Pink. 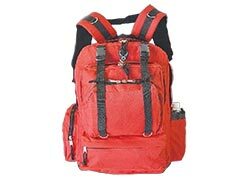 This bags has 1 water bladder pockets, 1 mesh pocket, 3 handles and 6 pockets , which will organize all of your items with two front pocket, two left pockets, two right pocket. 2 back straps can be hidden inside. M.O.L.L.E straps in front and at bottom. Expandable for 3 inch. 20 x 11.5 x 11. Comes in 4 colors - Black, OD, Tan and ACU. 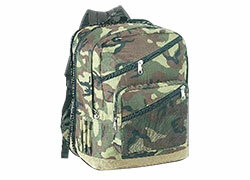 The largest backpack here has 4 compartments witch will hold all that you need to organize all the items. 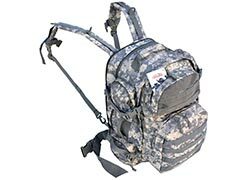 Front Molle system can be add with more pockets, A Velcro in front for name badge, 4 zipper compartments, 1 organizer for small items. Laptop holder, and water bladder holder with hose exit to the back, side webbing will make the bags very strong. 3 handle for easy carrier. 2 D ring, 2 carabineers, back strap and waist strap can hidden them inside for carry as a brief case. Back strap have the chest adjustable strap. 22 x 14.5 x 9. Comes in 5 colors - Black, Tan, OD, ACU and Multi-Camo(extra). 6 zipper pockets in front, 4 side pockets, two top handle, two back enlarged iphone & sunglass pockets. Full Velcro covers the top front pocket. Hydration ready. 1 laptop long pocket. 1 ipad easy access pocket. 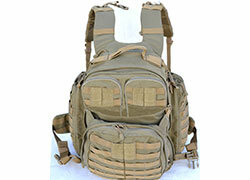 Molle strap front, and bothe sides. 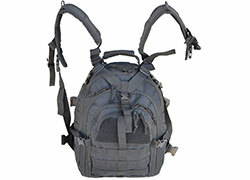 4 extra military style of pocket with buckles in front. 2 padded gun pouch added at both side of waist to hold guns, cell phone, gps, life savings medicines, etc. 20 x 11.5 x 11. Comes in 5 colors - Black, Tan, OD, ACU and Multi-Camo (extra). 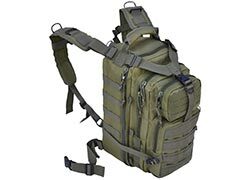 Large main compartment with seprate Pocket load 3L hydration bladders. Big padded two handle at top, two loop at side for sleeping bags, long front pockets with both zipper access, big rectangle pocket at back, two side pocket for each. 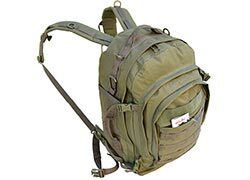 4 extra military style of pocket with buckles in front. 2 padded gun pouch added at waist to hold guns, cell phone, gps, life savings medicines. 22 x 17 x 11. Comes in 4 colors - Black, OD, Tan and ACU. Main compartment with #10 zip. Left side pocket with zipped closed and mesh outside pocket. 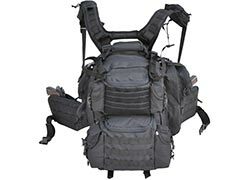 Right side feathered with a water bottle holder, 4 front pockets with iPod pocket and iPod wire access from outside. 18.50 x 12.50 x 7. Available in Red or Orange. 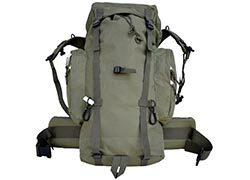 Single strap, double strap backpack combines tactical features with a larger, adjustable design built-in hydration compatible pocket and large mesh pocket. Center compartment with four zipper mesh. New designed front pocket. with Velcro. Zipper closure concealment pockets with hook & loop panel. Compression straps top & side. Detachable/adjustable waist strap. Padded shoulder strap with sternum strap. Padded back panel with mesh reinforcement to maximize air flow. Grommet for drainage. 13 x 20 x 7. Comes in Black, Green and Tan. Best and most complete backpack available. Durable fabric, two front pockets, big pocket in front. Main compartment with multiple pockets. Two side pockets. Padded shoulder straps. Available in Black and Sand. 20 x 10 x 15.5. 17 x 13.5 x 10.